Well, somebody's gotta fund Gabe's sword collection. The Co-Opticrew is getting somewhat hot and bothered by a certain Steam Summer Sale, but not quite as much as you'd expect. To be honest, our tepid reaction to all those sweet, sweet discounts is likely due to the fact that we've already bought everything we could possibly want (and more, Locke) over the last year or two of sales. Combine that with the fact that Steam has distanced itself from the fun, creative events of years gone by, and you've got a recipe for a week that will likely pass without a huge amount of celebration. Regardless, we've got games to play, and play them we will. More specifically, we'll be escaping prisons, hunting drug lords, and teaching our small children to slay horrific monsters. Check it out! Nick Puleo (@NickPuleo) - "Battlefield 1 and checking out Tyranny on PC." Jason Love (@JLove55) - "Continuing to make my way through Battle Chasers: Nightwar on the Switch, and maybe some Danganronpa." Eric Murphy (@smurph_em) - "We're either continuing on in Dying Light or A Way Out tonight depending on how well Baldy can see tonight. Watch us on our Twitch channel and chat with us!" Marc Allie (@DjinniMan) - "Enjoying the co-op in Pac-Man CE for the Switch, plus more God of War." Tally Callahan - "Work, entertaining guests, and a bit of Smite this weekend." Enoch Starnes (@enochstarnes) - "I'm hoping to check out the new Civilization VI expansion and try out a little We Were Here Too." Matthew Squaire (@mattaghetti) - "I just started Ghost Recon Wildlands so that and Divinity Original Sin." 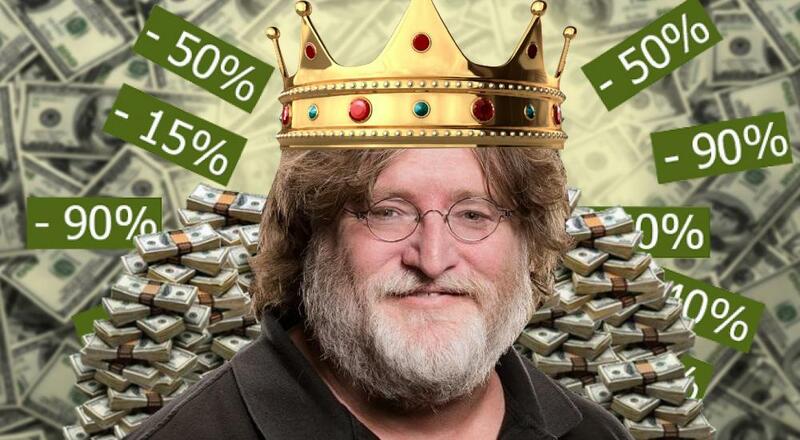 While we aren't necessarily obsessed with the Steam sale, you may feel otherwise. Pick up anything good? Let us know in the comments. Page created in 0.8934 seconds.